1A Barnstaple Street is a traditionally constructed period home under a slate roof with some double glazing and gas centrally heated accommodation. The property can be utilised in many ways either as a 3/4 bedroomed home or the master bedroom is a rather splendid 19' room situated on the first floor with feature fireplace which could be utilised as a lounge with river views the property would then have three bedrooms with one of these located on the ground floor. 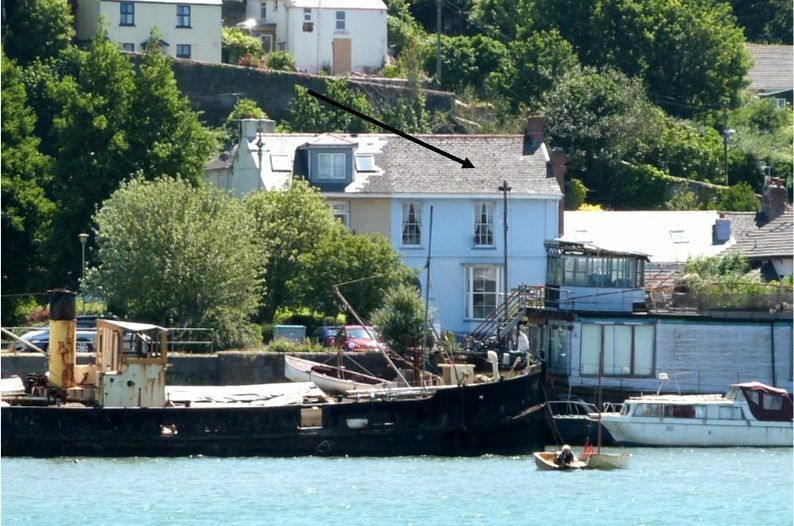 The property benefits from views over the river to Bideford waterfront and quayside and is considered ideal as a family home. It is offered to the market in immaculate condition throughout with many period features including a rather splendid arched window on the grand sweeping staircase. This very well presented spacious family home offers very adaptable accommodation with the potential for a loft conversion (subject to any necessary consents). Properties such as Arana rarely come to the market so well presented and with such good views over the river, an early viewing is strongly recommended to fully appreciate this individual home. 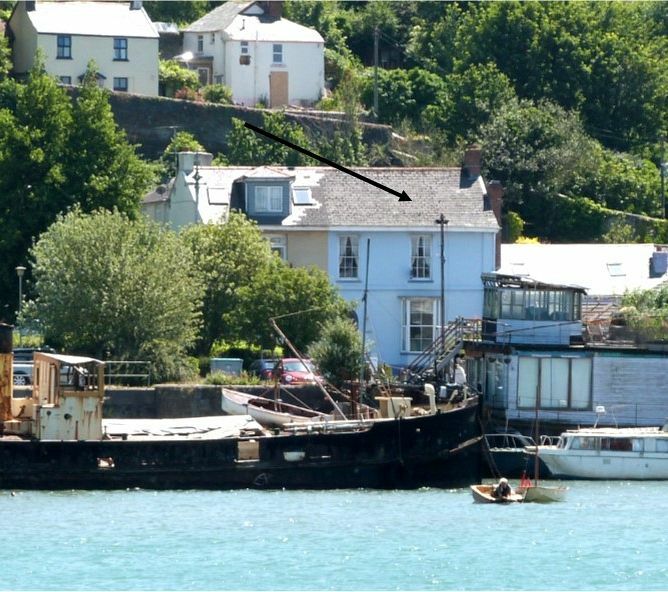 The property is situated just going out of Bideford Town on the Old Bideford to Barnstaple Road and conveniently located close to the main bus route leading from the Quay front and Town Centre. There are facilities closer including general store, junior school, health centre and Tesco supermarket. It is also conveniently positioned within easy access to the Link Road with the nearest junction being just over a mile away. This has improved access to the area with connection of the M5 motorway at Tiverton. As a result, Barnstaple, the area's major regional centre is now within fifteen minutes driving distance. The coastal resort of Westward Ho! famed for its surfing, sandy beach and adjoining golf course is only three miles away. It is a similar distance to the yachting village again with its sandy beach. KITCHEN/DINER/LOUNGE 19'7 max x 15'1 (5.97m x 4.59m) This room is currently used as a three way room by the current owners. Kitchen area: Oak limed effect eye and base units with formica worksurfaces and tiled splash backing, stainless steel single drainer sink unit with hot and cold taps, space for fridge freezer, space for cooker, space for and plumbing for dishwasher, spotlighting, laminate floor. Central heating boiler (Ferroli Modena 80E) providing the property with central heating and hot water. Dining/Lounge Area: Floor to ceiling double glazed bay window with views over the river to Bideford waterfront and quayside with window seat with tongue and groove under, feature half circle in ceiling with light, coving, 2 x radiators, feature fireplace in brick with wooden mantle surround with tiled hearth, laminate flooring. BEDROOM FOUR 11'7 x 13'10 (3.53m x 4.21m) with feature stone fireplace with hearth, floor to ceiling alcoves on each side with shelving, with pine fronted cupboards under, radiator, fitted carpet, double glazed window and door into BATHROOM Panel bath with tiled surround, tongue and groove side panel, shower over, low level w.c., pedestal wash hand basin with tiled splash back and mirror tiling over with shaver light and point, radiator, fitted carpet, obscure double glazed window. INNER HALLWAY with fitted carpet, under stairs storage cupboard, radiator, grand sweeping staircase with the most splendid arched paned window. LANDING with fitted carpet, radiator, airing cupboard with double fronted pine doors and cupboard over, feature coving, return balustrade. BEDROOM ONE 18'8 x 14'7 (5.69m x 4.44m) This room could be utilised as a first floor Lounge as it benefits from views over the river to Bideford waterfront and quayside. Feature fireplace in brick and stone with wooden surround, 2 x alcoves, sash window with river views. Decorative period coving with ceiling rose. BEDROOM TWO 12'1 x 13'8 (3.68m x 4.17m) with coving, fitted carpet, sash window. BEDROOM THREE 9'3 x 14'7 (2.82m x 4.44m) with fitted carpet, coving, sash window with views over the river to Bideford waterfront and quayside. FAMILY BATHROOM with panel bath with tongue and groove side panel with tiled surround with Mira Sport shower over, vanity hand basin with tiled splash back with mirror over and double cupboard under, low level w.c., fitted carpet, tongue and groove walls to dado rail height. To the rear of the property there is a fully enclosed courtyard area, outside tap with OUTSIDE W.C.
WORKSHOP with workbench, plumbing for washing machine, single drainer stainless steel sink unit with mixer tap with base cupboards with formica worktops. 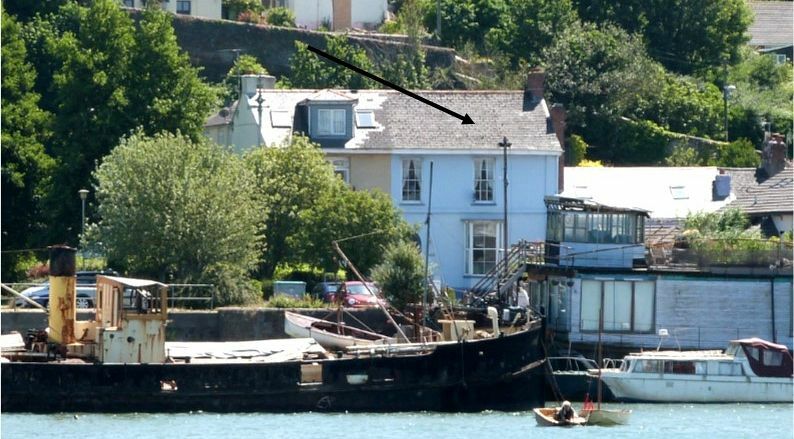 From the rear courtyard there are steps leading up to a raised fully enclosed stone walled lawned garden with complete privacy and steps leading to timber decked area with half circular pergola over with views over the river to Bideford waterfront and quayside with outside lamp. From Bideford Quay proceed across the Old Bridge and at the roundabout turn left into Barnstaple Street. 1A Barnstaple Street will be seen on the right hand side (painted pale blue) with For Sale board displayed. There is a public car park just before you reach the property on the left hand side.